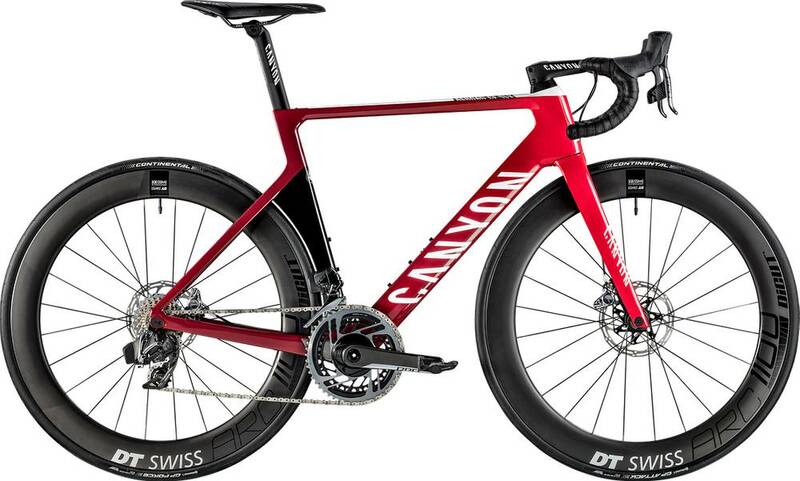 Canyon’s 2019 Aeroad CF SLX Disc 9.0 SL is an ultra high-end component level carbon frame race / aero bike. The 2019 Aeroad CF SLX Disc 9.0 SL is easier to ride up hills than similar bikes. Similar bikes won‘t keep up with the 2019 Aeroad CF SLX Disc 9.0 SL while riding downhill or sprinting.